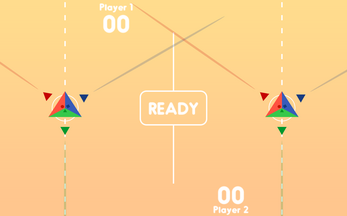 Local multiplayer game where two colored triangles fight each other using colors. 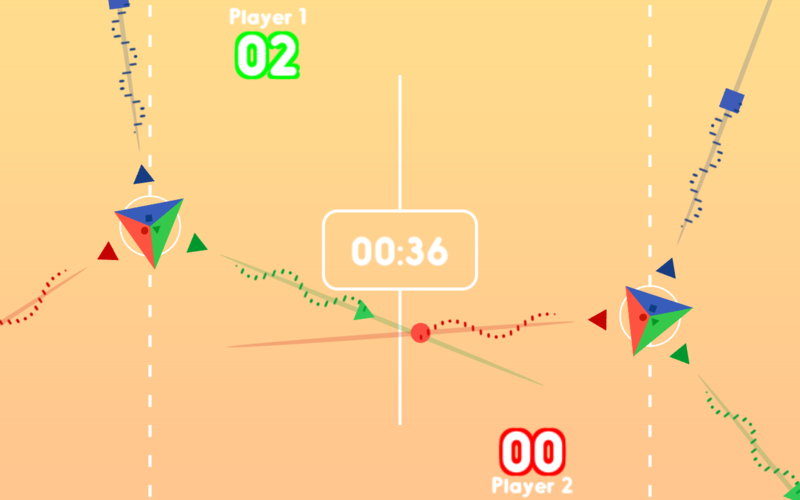 In order to score, players must hit each other using different colors. 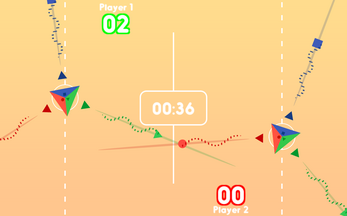 For example, a green projectile will score only if it hits the blue or red sides of the triangle.